Oh no! Flynn's Log 1: Rescue Island is not Free on Amazon outside the US. I need your help to fix this. 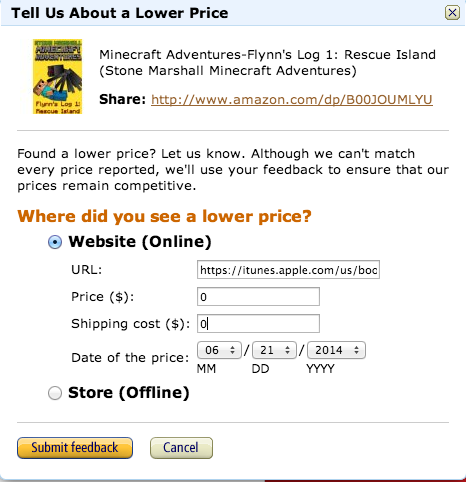 If you try to download Flynn's Log 1 and the price is not free, it means Amazon has decided to not match the promotion price available on other e-reader devices. Amazon will change the price to free, but I need some help. First, on the Amazon page for your country, scroll down to find and click the link that says tell us about a lower price. Next, paste some simple info into the Amazon window. It looks like this. Soon (based on Amazon's time) the price for my book in your country will be free (again). 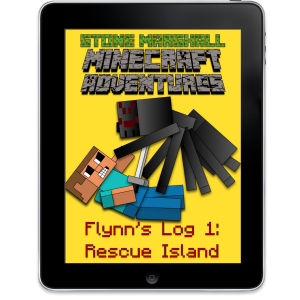 In the meantime, you can download Flynn's Log 1: Rescue Island for Kindle directly from me, free. Thank you and sorry for this silly problem.